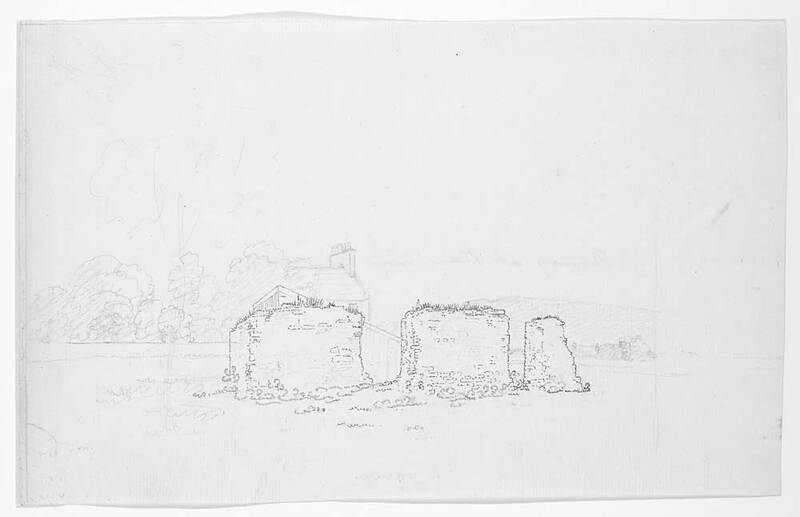 This untitled drawing shows the ruins of Sciennes Convent in Edinburgh. 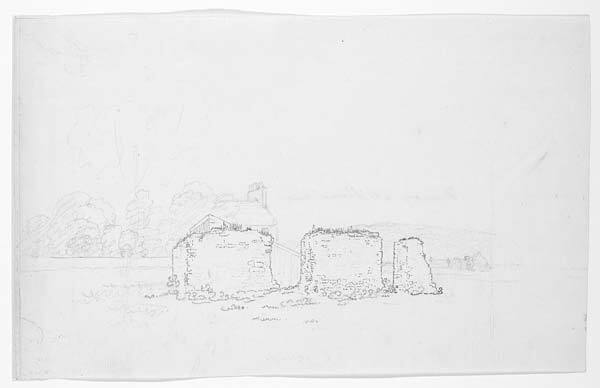 The page is undated and the drawing is unsigned by the artist. This is one of two views of Sciennes Convent in the Hutton Collection. As the capital and largest city in medieval Scotland, Edinburgh contained many religious foundations. Sciennes Convent appears to have been one of the less prominent ecclesiastical buildings. Located to the south-east of Edinburgh city centre, it housed an order of Dominican nuns. The name Sciennes may derive from St Catherine of Sienna, after whom the convent took its name.